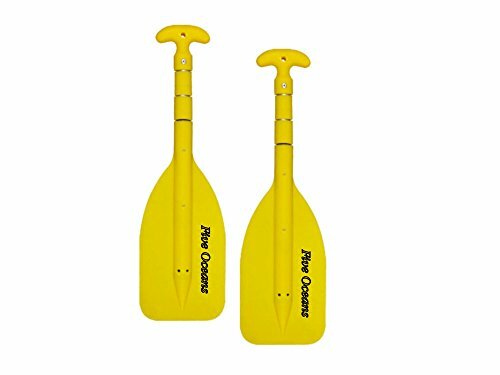 This telescoping paddle stows compactly at its shortest length with a low cadence shape gives you immediate power and good stability. It has the ability to contract and extend from 21" to 42" inches. It has a great blade shape for straight ahead tracking with a palm style grip for a good fit and controlled strokes. The quick adjustable length fits any sized paddles and board, the shortest can be 21" in which fits perfectly suitable for Children. You don't have to worry about it sinking if you do lose your grip - it's a floater. Emergency Paddle Adjustable from 21"- 42"
Shaft Diameter: 0.98" x 1.06"